The problem that bankers and investors have with Mark Zuckerberg is that he isn’t CEO material. 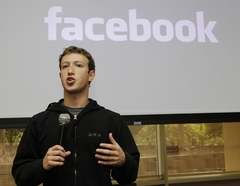 For instance, remember the time when he showed up on a road show during the Facebook IPO with a hoodie and flip flops. He doesn’t care about the shareholders, but he must remember that they are really his bosses. This is where a traditional CEO comes in handy as opposed to Zuckerberg, who is actually the visionary for the company. Optics are important. Being a company’s CEO is a totally different job. It involves dealing with finicky investors and presenting yourself well so that everyone is satisfied with what is going on in the company. Even Steve Jobs showed up in a suit when it was time to do road shows.